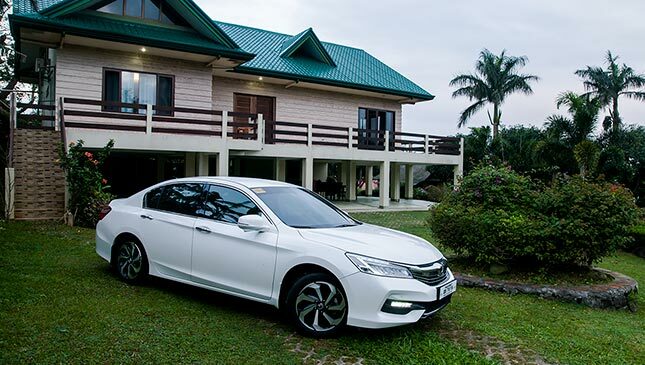 The ninth-generation Accord is now seeing the twilight of its days, but until Honda Cars Philippines brings in the replacement, we have the pleasure of enjoying the current offering. And enjoy it I certainly did, for a good three weeks. It has a beautiful and unadulterated form, and I came to understand its purpose. 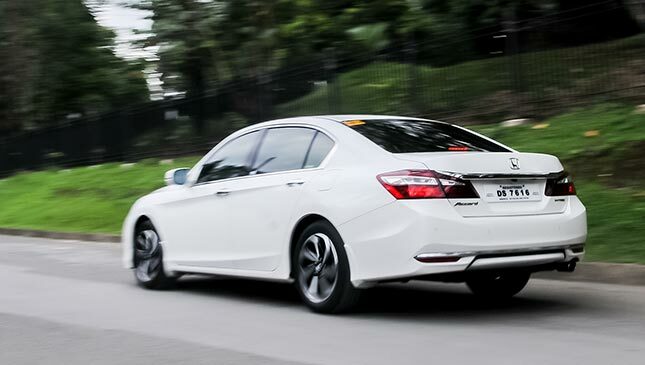 Though there’s nothing basic about this Accord S Navi, it’s the lower of two variants, the other one being the SV Navi with the more powerful 3.5-liter V6. 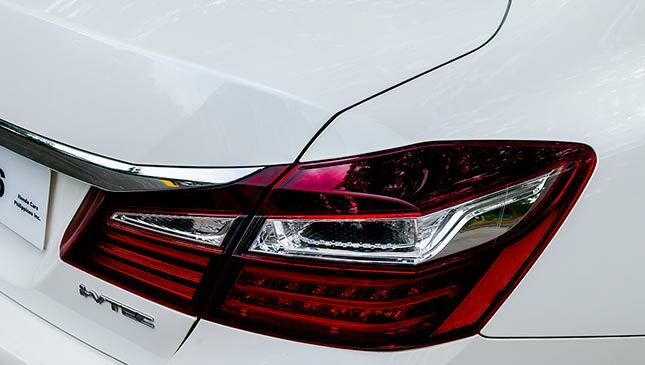 My 2.4-liter unit features a full complement of LEDs up front, including the now-standard daytime running lamps. On the other end, LEDs follow the beautiful contours of a well-crafted taillamp design. The form of the car still exudes restraint and sophistication, but it has obviously aged some, especially compared with its current stablemates. Still, driving around reveals many impressive things about it. The first thing you notice is how welcoming the interior is. Black is omnipresent in the cabin, but there are faux wood accents to break the monotony. A multi-tiered dashboard and console tunnel help guide your eyes and hands to where they need to be. 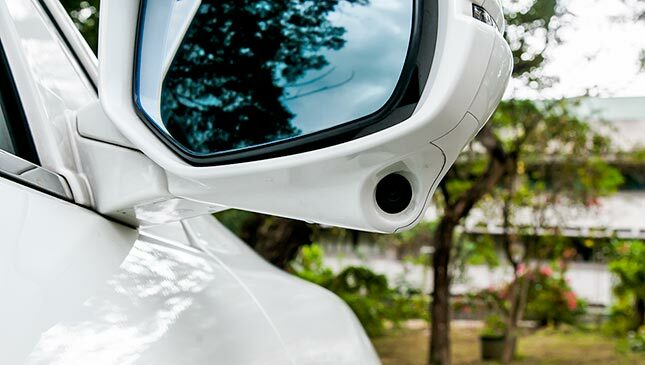 The steering wheel includes display, voice, phone, and cruise-control buttons, while a simple gauge cluster with three dials makes easy work of monitoring all the driving essentials. 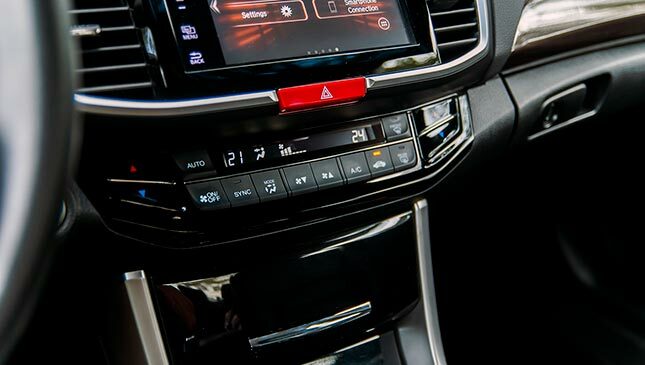 A mid-upper digital screen keeps tabs on secondary functions including the lane-watch system; a midlevel touchscreen incorporates navigation, entertainment, and rear-camera output to complete the data-display trio. 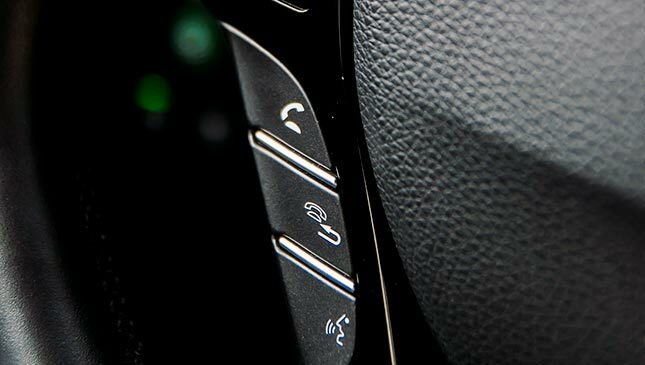 I would’ve preferred standard knobs for things like volume adjustment, though—all this touchscreen hype could leave you hankering for more tactile means of control. 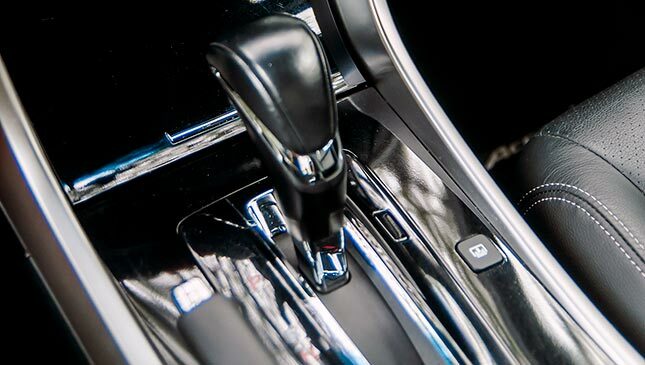 Even the A/C blower controls are lost in a line of buttons underneath, which means you have to take your eyes off the road to adjust the fan settings. Minor niggle, but it is what it is. The K24W engine puts out 173hp and 226Nm of twist. 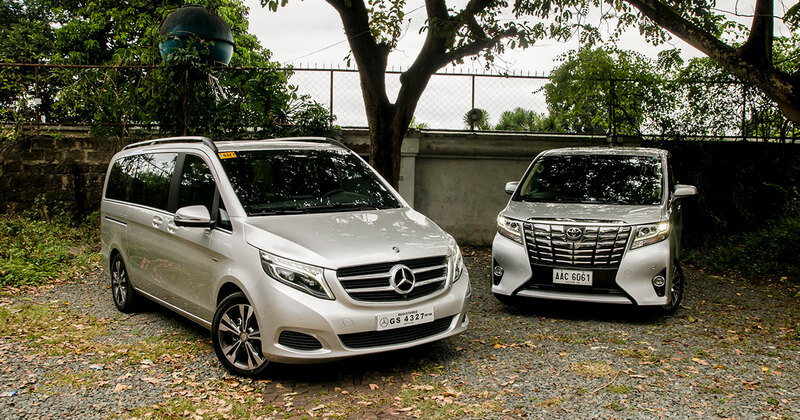 Even though its power deficiency to the V6 is over 100 horses, the smaller straight-four has more than enough zip to get you through Manila traffic and then some. Up on the twisty mountain roads of San Mateo and Montalban, I never once asked for more power from this engine. It was the same for extended highway romps where the only real concern was overtaking, but it was a breeze for the Accord when I put the hammer down. 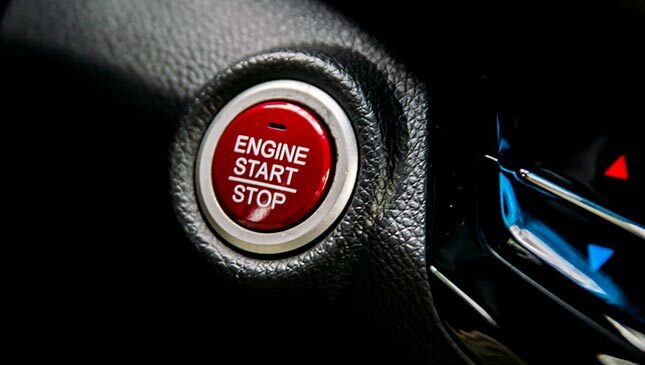 This Honda comes with an Eco Assist System, of course, with a green pulsing light indicating how much throttle input you should be applying to keep fuel consumption low. Alas, even with Econ mode on, I could not for the life of me break the 8km/L average. It could be that Manila traffic is just that bad or I have to work on my untrained leadfoot, but it was quite disappointing. I’m certain, however, that with better driving conditions and more finesse on the gas pedal, the car can easily hit even 9km/L in Metro Manila. The five-speed automatic is one gear short of the SV’s six-speeder, but it’s a competent gearbox. Leave it in Drive and it takes care of everything, leaving you relaxed even while sitting in gridlock. 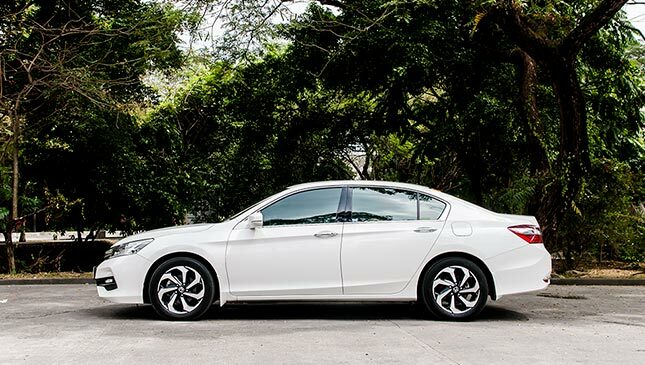 In everyday driving situations, the Accord has a tendency to settle into a certain monotony. There’s the quiet drone of the engine, the steady and supple ride, the cool air from the dual-zone HVAC, and the comfy seats. To me, it makes perfect sense why it settles into the state: If you were sitting in the backseat and had to think of a business strategy on your way to meet the boss, wouldn’t you want the calm? If you were behind the wheel, wouldn’t you appreciate having your wits about you to keep safe on the road? 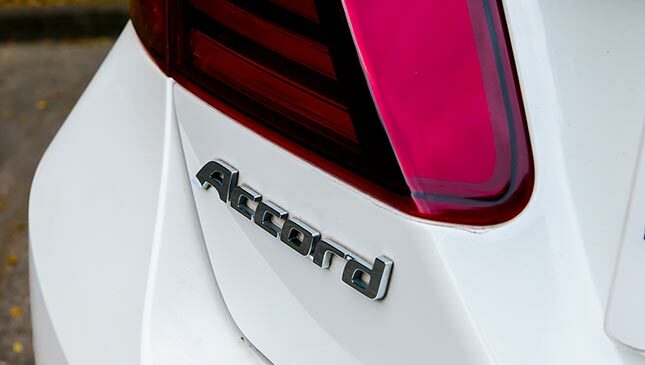 That’s not to say the Accord is lifeless. It’s refined enough to provide a steady drive, but if you feel the need to switch things up, it’s willing and able to provide. Drop the transmission into Sport, take control of the paddles, and have a grand time unleashing the monster under the hood. 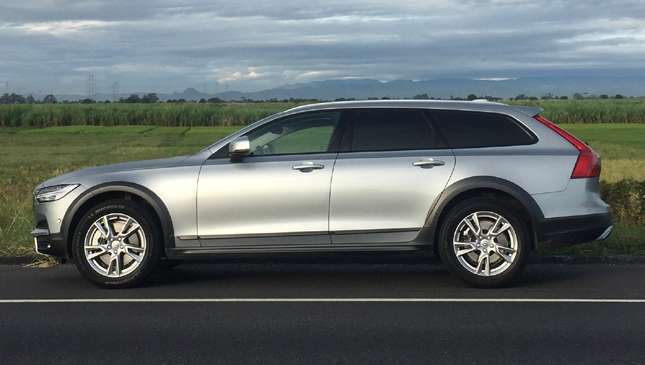 You’ll feel just how unbelievably light and responsive the car can be, with the suspension and the Vehicle Stability Assist inviting you to push even more. It’s like shifting into Sport mode shrinks this midsizer into a more compact vehicle. The powertrain and the suspension come alive to gobble up turn after turn on the road ahead. On curvy mountain roads, you can witness the intricate ballet of engine power, gearing, suspension dynamics, and chassis agility. This is no Civic Type R, for sure, but is it a Honda competency that all its cars are raring to impress at a moment’s notice? Possibly. Obviously, my time with the car was spent behind the wheel and I didn’t get chauffeured around like some corporate hotshot—but I did get to sit in the back. And with a little imagination and some previous rat-race experience, I could easily tell why the Accord belongs to the executive class. 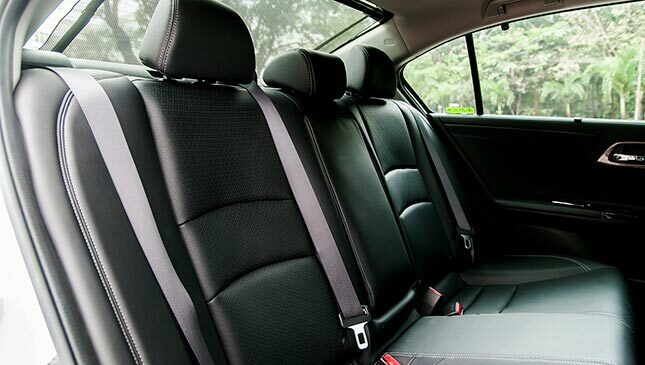 The backseat is so spacious—there’s enough legroom for three-quarters of my extended leg! The rear cabin is a welcome respite from the ferocity of the workday. It’s where you can kick back and get lost in your own thoughts or your own playlist (the center armrest thoughtfully houses the rear audio controls). Is it too sunny outside, or are you too blinded by success? 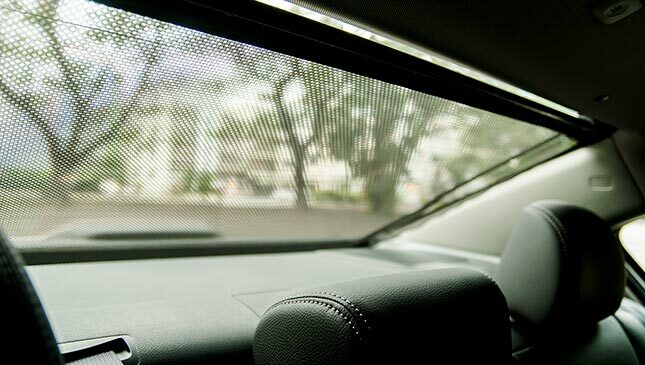 Sunshades are cleverly nestled on each door, and an automated one rises up from behind the rear deck. Here’s a space where you can forget about all of the world’s little details and just have yourself transported in comfort and style. After three weeks with the car, I found little to complain about. 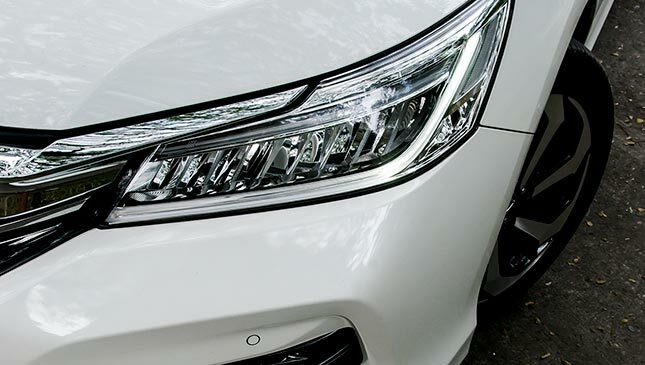 But allow me to share my thoughts: I found the Accord comfortable, but it had that tendency to be too comfortable sometimes. The fuel consumption was quite worrisome for me, as were the easily scuffed piano-black plastic materials. And the interior color turned out to be a dust and fingerprint magnet, unfortunately. All nitpicks, I guess, but all legitimate. In the land of CEOs and their hulking SUVs, there is still room for the ever-enduring executive midsize car. It’s a testament to the presidents, VPs, and general managers who get the job done day in and day out. 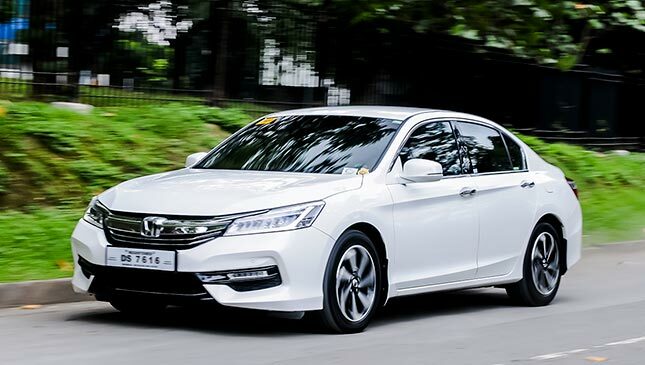 The Accord quietly but impeccably slips along the city’s roadways to help ensure that the gears in the country’s economy continue to move along. There’s something very impressive about a car that you know will quietly and humbly over perform.